March is Women’s History Month. It coincides with International Women’s Day, which is celebrated March 8. I was reminded of this when I was searching for a bread recipe. I keep my cookbooks in a hall closet, along with two shelves of vintage books — ones I have read and choose to keep for one reason or another. Reaching for a cookbook I happened to see my biography of Baby Doe Tabor — the Silver Queen. Baby Doe was not a paragon of womanly virtue. In fact, she was a woman with a past, a questionable present and a fallen-from-grace future. But she had true grit. Tenacious, focused to the point of obsession and a die-hard are the words that best describe this second, flamboyant wife of a Colorado silver mine baron. Her life was marked by deprivation, soaring success, a precipitous fall and, finally, not just a return to deprivation but a return to hopeless, lonely deprivation. Elizabeth McCourt Tabor was born in 1854, the fourth of 11 children in Oshkosh, Wisc. The woman who would go on to be described as the “most beautiful woman in the west” (a title easier to qualify for when you are married to the wealthiest man in the west) was taught by her mother that her face was her fortune. She married a man who took her to the Colorado gold and silver mines. She soon became disillusioned with this hard-drinking ne’er-do-well and started doing his job for him. Dressing in men’s clothes and going down in the mines she managed the men with a combination of womanly wiles and hard-nosed accuracy. It was while she was in this role that the miners, impressed and charmed by this good-looking and brazen woman, started calling her Baby Doe. Baby Doe soon caught the eye of H.A.W Tabor, a silver baron with a steady, smart and plain-looking wife, Augusta. An old story of wealthy, older men with sensible wives going crazy for a younger, attractive woman followed. H.A.W divorced Augusta (who died at age 62, rich, comfortable and respected) and married Baby Doe. The wedding was the stuff that movies are made of. Horace Tabor, the Bonanza King of Leadville, Colo., and owner of the Matchless Mine (producing $2,000 of silver every day) had been selected to fill a vacancy in the Senate. He and Baby Doe were married in Washington, D.C., in a ceremony attended by no less a personage than Chester A. Arthur, president of the United States. Baby Doe’s wedding dress cost $178,000 in today’s money. She wore a $2 million diamond necklace and must have looked like the soul of youth. H.A.W’s 22-year-old bride (though she was actually 28, lying about her age to enhance the fairly tale marriage) was never going to enjoy this rarified air again. The Tabors moved back to Denver when H.A.W.’s term was up and two daughters followed (Lily and Silver Dollar). But by 1893 the price of silver was falling, the mines were playing out and the downhill slide began. Horace, older and less resilient to failure, saw his health fail as did his fortunes. Having lost their beautiful Denver home and the high life it had enjoyed, H.A.W. died, telling Baby Doe to hang on to his now worthless Matchless Mine. He promised her it would bring in millions again. In 1935 Baby Doe Tabor was found frozen to death in the ramshackle cabin at the entrance of the mine. She had guarded it with a shotgun, becoming more and more reclusive and mentally frail as the years passed. Her legend lives on in books and an operetta that all celebrate a life that was not exemplary, but certainly rare and not without laudable characteristics. When we celebrate Women’s History Month, I think we should look at all types of women. Some need to be held up as examples of the best in humanity, others might be a cautionary tale. The fact is that women are human beings. We are subject to all human frailties. We are also capable of all human successes. We can be grand, heroic, strong, resolute, capable and talented. Perhaps the fact that Baby Doe is remembered for her beauty instead of her ability to manage the mine when her first husband couldn’t is the reason we need this month. Read a biography of a woman — any woman — and keep the faith. 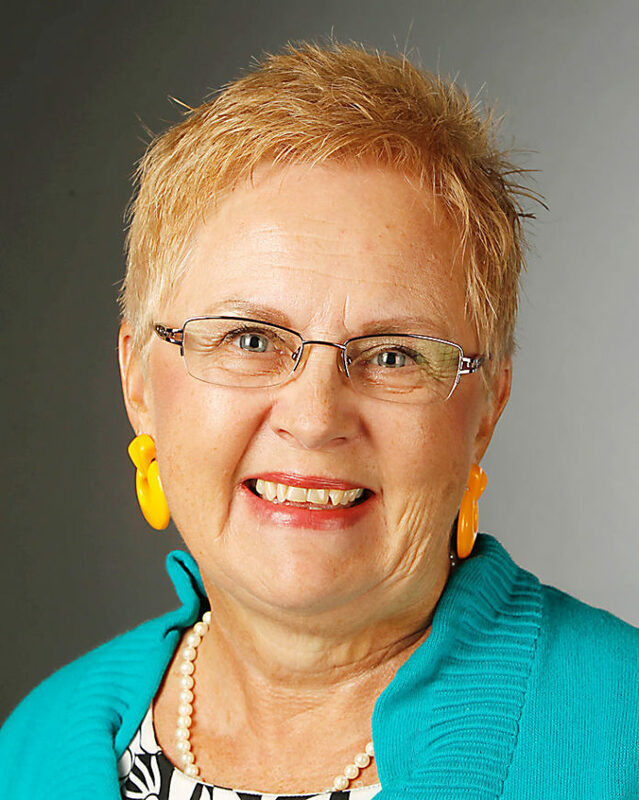 Louise Butler is a retired educator and published author who lives in McAllen. She writes for The Monitor’s Board of Contributors.